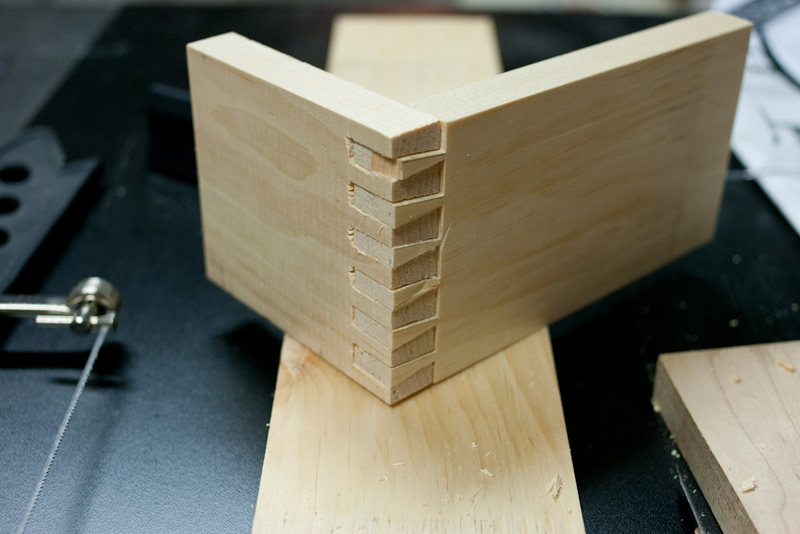 This didn't really start as 30 days of dovetailing but between waiting for the Beall to show up, and realizing after my first set of dovetails that the school box likely would not resemble a school box, I have now finished my 3rd set of dovetails. Problems on the 2nd set. 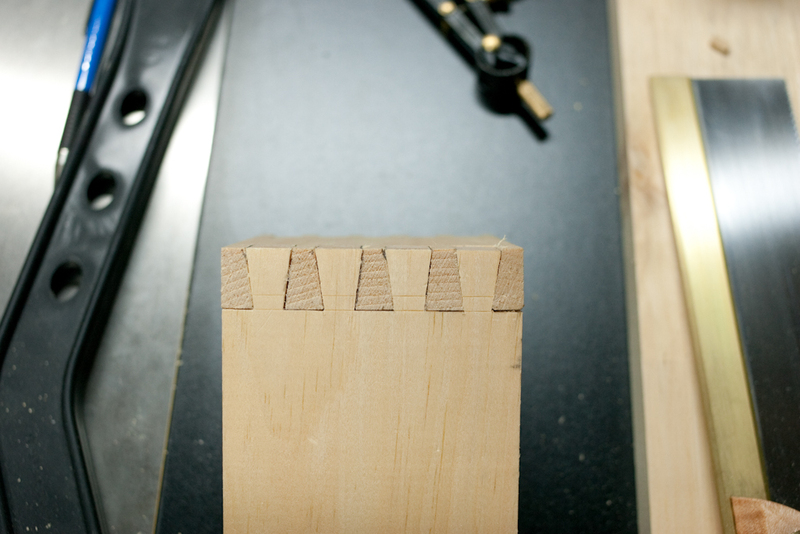 I didn't bother to go back and really figure out the proper way to layout the dovetails. I figured, incorrectly, that I'll just start marking and cutting. 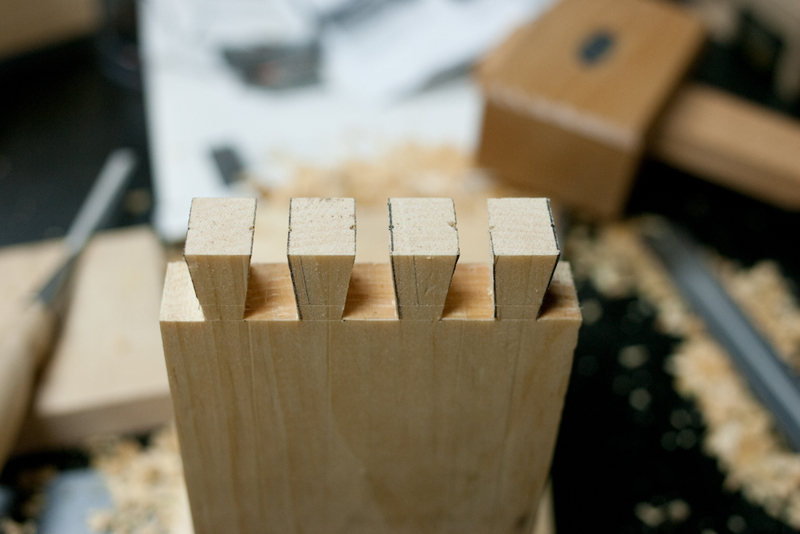 The result was the width of the tails at the base was too thin which meant that I couldn't clean out the pins with the chisels I own. I was reasonably happy with the tails I cut, but the pins were a disaster. The total result is quite a bit worse than my first attempt on account of poor layout and disastrous pins. I put some upfront work into the 3rd set. Went through the Rob Cosman video on Handcut Dovetails which is probably as good an instructional video as you'll find. I watched it a few months (or more) back so there was a lot of haziness. Some mistakes from the 2nd set became glaringly obvious running through the video. 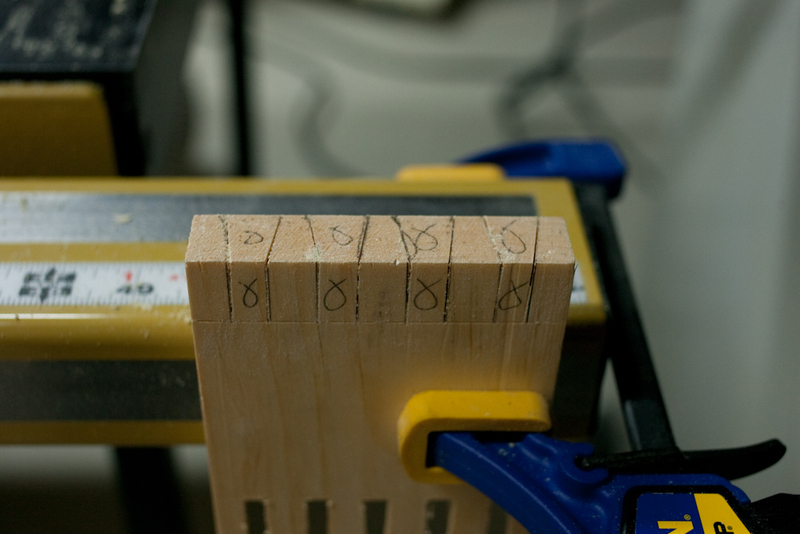 1. basic layout with the divider, 2. marking waste, 3. use of the fret (coping) saw, 4. relative position of the board when chopping out the waste. 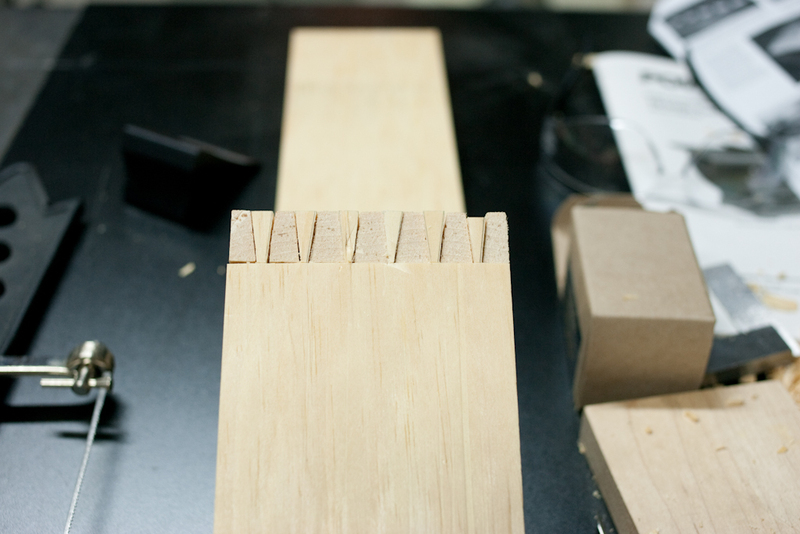 I didn't manage to located a reasonably priced fret saw, so I'm using a coping saw. 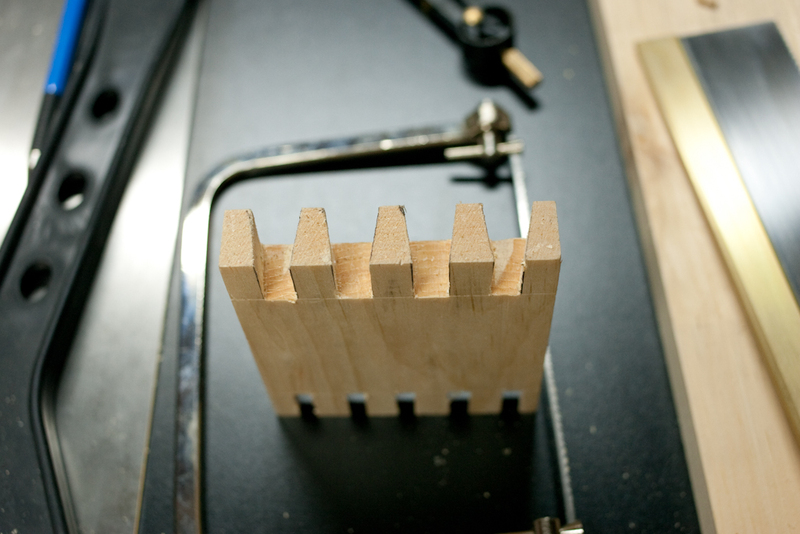 Problem here is that I have the thinplate L-N Dovetail Saw so it's a tight fit for the coping saw. I still managed to get most of the waste cut out, but there's some marking on the tails from trying to get the saw turned. 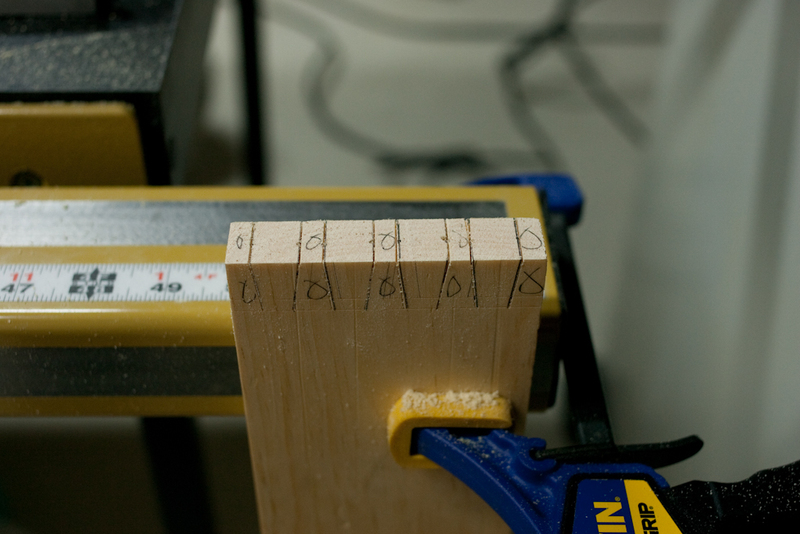 Also, I missed badly and cut below the baseline with the coping saw. Had a few missed cuts chopping out the waste, and my saw cuts for the waste at the ends of the tail board were a bit off as well. Results below. Still far from perfect, but not bad for my 3rd attempt. I can definitely see how doing this for a month can improve technique dramatically. P.S. It takes way to long to get pictures laid out and linked correctly in the Blogger editor.